Washington, D.C, Dec. 16, 2011 – Looking for that perfect gift for a loved one (or yourself)? The Washington International Horse Show silent auction is offering a wonderful selection of fun, one-of-a-kind and equestrian-themed items for the holidays. How about a private riding lesson with Olympic gold medalist McLain Ward or a weekend getaway at the Blackthorne Inn in Upperville, Va., with two polo lessons and a special dinner at the Fox’s Den Tavern? And for the non-equestrian on your list, who wouldn’t love tickets to NBC’s Saturday Night Live, or the ultimate father/son getaway at the Otesaga Hotel & Resort, golf at Leatherstocking Golf Course and a private tour of the National Baseball Hall of Fame in Cooperstown, N.Y.
For one week only, Dec. 13-20, these and a dozen other specially selected items are available for your bid in the WIHS Silent Auction Holiday Edition, an online auction allowing you to join in the fun and place bids from your computer or smart phone at home, at the barn, at work or anywhere you have Internet access. Items range from thrilling opportunities to meet and ride, drive or play golf with equestrian celebrities, including Chester Weber, Mario Deslauriers and Nick Roldan as well as Ward, to great getaway packages with a private tour of the Smithsonian’s Museum of the American Indian, to the perfectly practical like a photo session with James Leslie Parker, a year’s worth of Pedigree dog food or custom boots from Vogel, to the exotic like Dark Dining at Camaje Bistro in Manhattan’s Greenwich Village. The auction ends Tues, Dec. 20, at 3:00 p.m. Eastern. Buy-it-now options are available for all items. Visit the WIHS Facebook page for auction activity updates, including new items. 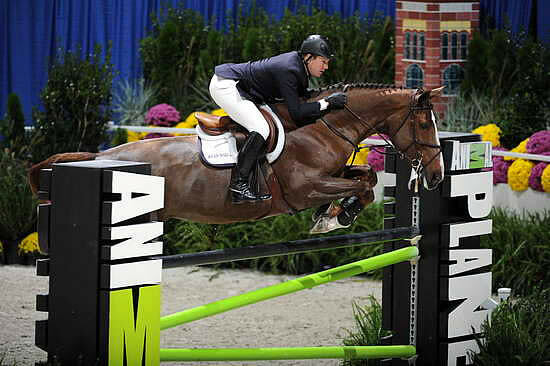 WIHS is the country’s leading metropolitan indoor horse show with leading horses and riders competing in show jumping, hunter and equitation events. Highlights include the $100,000 President’s Cup Grand Prix (World Cup Qualifier), Puissance (high jump) and the WIHS Equitation Finals for the top national junior riders. Exhibitions, shopping and community events round out this family-friendly show. 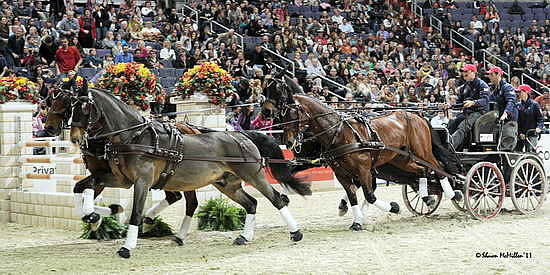 The 54th Annual Washington International Horse Show will take place Oct. 23-28, 2012 at Verizon Center in Washington, D.C. Previous PostWofford, Arnold to Receive Year’s Highest Equestrian Awards at the 2012 Pegasus AwardsNext PostCast Your Vote for Chester Weber and Help Him Make History as the First Combined Driver to Win Equestrian of the Year!